The University of Manchester – Middle East Centre (formerly known as Manchester Business School) opened with its flagship MBA course at Dubai Knowledge Park in 2006. Today, the university has supported over 2,200 part-time MBA students with a regional community of around 2,500 alumni and actively works to create professional networking opportunities to help enrich the wider business community. It is the largest and fastest growing centre in The University of Manchester international network. Best known as part of the oldest university in the UK and offering a top ranked MBA programme, The University of Manchester - Middle East Centre has since identified key educational and leadership needs in the region through researches, collaborations and consultancies, thus the university is now offering Executive Education courses, MSc in Reliability Engineering and Asset Management and MSc in International Healthcare Leadership. As the university continues to contribute to the growth of the education sector in the Middle East, more courses will be offered. The university works in a range of collaborations with professional bodies such as CIMA, ACCA, IMA, PMI and CIPD, as well as UK organisations including UKTI, British Business Group and British Centres for Business. In addition, The University of Manchester - Middle East Centre has forged a range of partnerships with public and private sector organisations through its Strategic Talent Partnership programme. The university has embarked on the region’s first research into creativity and innovation in the GCC, to mark the Middle East Centre’s 10th anniversary in 2016. Dubai and the region continue to be an area of economic growth, with a solid business infrastructure, a healthy and developing business environment, areas of skills development that are supported by government, and businesses that are facing the challenges of maintaining economic growth through a period of economic change. Dubai shares many similarities with Manchester; both are dynamic and vibrant cities that have transformed themselves to make a major impact on the world. Manchester was at the heart of the first industrial revolution and is still today a centre of research, innovation and learning; and Dubai is at the forefront of the new wave of 21st century, knowledge-based economies. The Middle East Centre, based in Block 2B at the knowledge hub, Dubai Knowledge Park, offers study, library and classroom facilities for students and visiting faculty from The University of Manchester in the UK, as well as office space for The University of Manchester regional team, which coordinates and supports all student activities, including highly interactive and intensive workshops conducted by visiting faculty from The University of Manchester in the UK. A recent expansion at the centre has also increased the range of facilities available for students. We are delighted to have MBA graduates from the Middle East region. Since our first batch graduated in 2009 we have launched The University of Manchester Alumni Association Middle East to support the alumni in the region through organising events and networking opportunities. Our MBA is ranked 4th in the UK, 10th in Europe and 36th in the world by the FT Rankings 2018.  AMBS is accredited by all three major bodies.